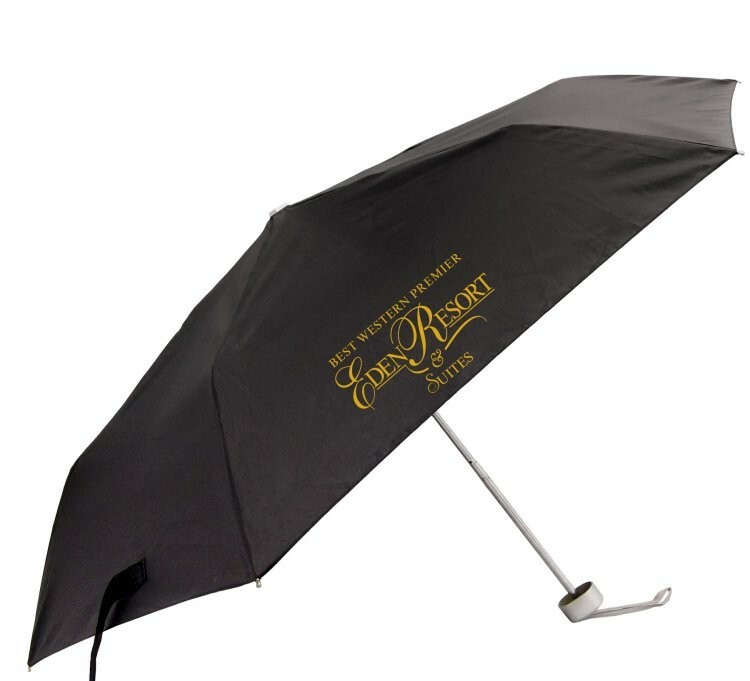 Your client will love this compact umbrella! It fits perfectly in a purse, backpack or travel bag and folds down to only 9 1/2". This umbrella is built with a sturdy steel frame and a hook and loop closure and comes in a matching sleeve. This umbrella is the perfect fit!